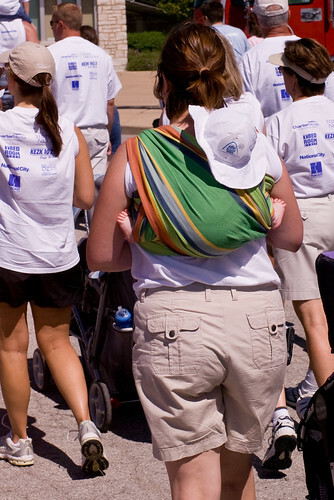 I finally got around to uploading the few photos I have from the 2008 St. Louis Buddy Walk. The Walk itself was a great event and wonderfully successful! Just under 3,000 people came out on a hot Sunday morning to walk and celebrate Down syndrome. 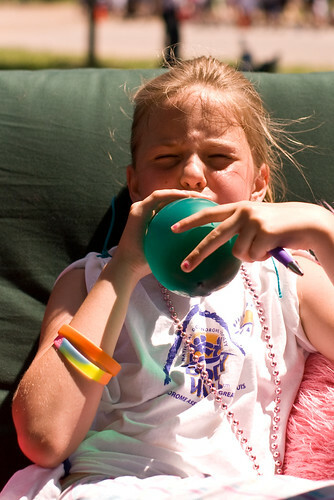 Olivia and Mia took a break at the rest station sponsored by The Bed Room Store and tried to inflate some balloons. I love this baby carrier. Can you see the little feet sticking out? 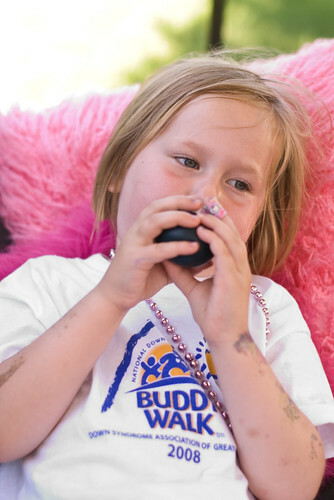 To see the rest of my photos, look at photos tagged with BuddyWalk on my Flickr page. To see a ton more photos from the event, look at the DSAGSL's Smugmug site.